There’s nothing like a good night’s rest to help you start the day right. You’ll have great moods, increased concentration, abundant energy, enhanced problem-solving skills and more. Important to that is a good mattress. 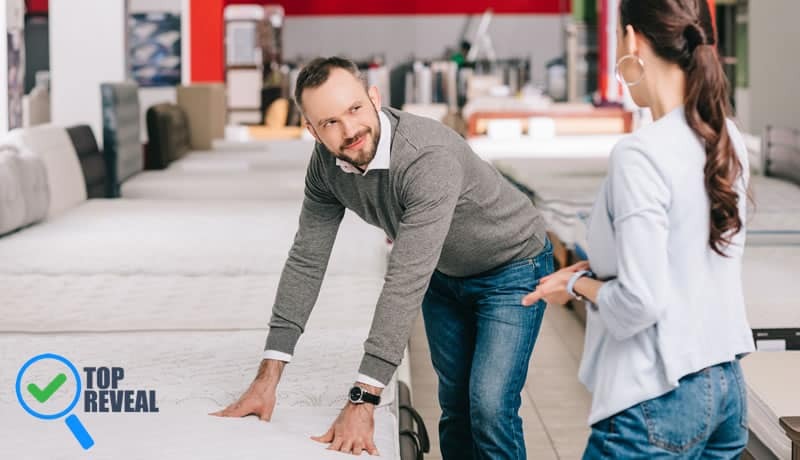 Over the years, the mattress market has been inundated with products from nations around the world, but there are still some good and reliable mattresses manufactured right here in the United States. “When our team first visited the plant to first produce PangeaBed we noticed many other plants along that road that were empty. That stuck with us. We want to build here and create more American jobs,” explained Martin Regueiro of PangeaBed. Many American manufacturers utilize a direct-to consumer mode because it helps eliminate the middleman and result in lower prices. Nest Bedding sells organic mattresses made in the United States. The company’s mattresses contain multiple foam layers and motion isolation pockets. The company also makes blankets,sheets, pillows, and comforters. The company’s mattresses are available for purchase via their website and physical stores and offers a 100-day trial period. The Nest mattress also has a lifetime warranty. The Purple Mattress product features a scientifically-engineered Smart Comfort Grid, designed designed to gently cradle pressure points which provides users with a zero gravity feel that allows for better sleep. This company has a 100-night trial with free returns, as well as a 10 year warranty. PangeaBed ™ offers antimicrobial and hypoallergenic mattresses and pillowcases. The products are also copper-infused. Copper is a mineral that’s long been associated with health benefits, such as regulating heart rhythms, decreasing cholesterol and encouraging healthy collagen production. Studies have found the importance of copper in immune function and red blood formation, says the National Institutes for Health (NIH). The mattresses and pillows offer optimum support. PangeaBed also offers a 100-night trial and a 10 year warranty. Casper offers three types of mattresses via their website and other internet platforms. These mattresses include the Wave, the Casper, and the Essential. Casper mattresses are designed ergonomically to offer the proper support. Additionally, the mattress material is breathable, cool, and luxurious. The company also offers pillows, bedding and furniture. Like many other companies, Casper offers a 100-night trial and a 10 year warranty. Loom & Leaf by Saatva is a handcrafted and eco-friendly company that utilizes premium five-pound memory foam to make mattresses. Beneath the surface of the mattress is a cooling layer featuring spinal zone gel and foam. Loom & Leaf mattresses also contain flame retardant thistle. The company offers a 120-night trial and a 15 year warranty. Mattresses manufactured in the United States offer unrivaled quality and luxury. Each of the aforementioned mattresses have unique features and offer generous trial periods and warranties.